A native of Hannibal, Missouri, Ron Powers is a Pulitzer Prize-winning journalist, an Emmy-winning TV commentator, a novelist, and a non-fiction writer. He is the co-author of Flags of Our Fathers and True Compass – both #1 New York Times Hardcover Nonfiction bestsellers. 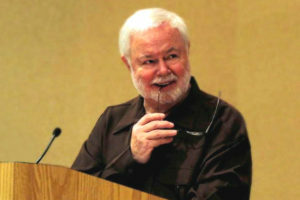 His biography of Mark Twain – Mark Twain: A Life – was also a New York Times bestseller and a finalist for the 2005 National Book Critics Circle Award. He received the Pulitzer Prize for his critical writing about television for the Chicago Sun-Times in 1972. In 1985, he was presented an Emmy Award for his commentaries on CBS News Sunday Morning With Charles Kuralt. health services Transitions of Western IL provides to area residents.